– Make your own yogurt, fermented drinks, cultured butter, sourdough and other good-for-you foods right on your countertop? 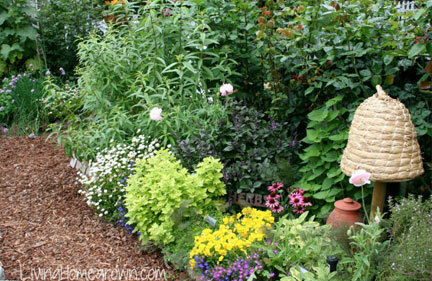 – Grow your own wholesome, organic food no matter how small your space? – Learn to eat within the seasons for better flavor and nutrition? – Kick all those fears of canning or preserving food to the curb because you fully understand the process? – Raise chickens or ducks in your backyard so that you have the freshest eggs possible? – Connect with your food from tiny seed, to the pantry shelf and then to your abundant table (with all fun bits in between)? Living Homegrown is an online resource to help you with all of the above. Here, you can have a more authentic, farm-fresh lifestyle without having to buy a farm or even a large plot of land! I’ve also had professional training to teach others AND through my work as a television producer, I’m connected to the top organic experts in the country. So, I can show YOU how to live the farm-fresh lifestyle of your dreams! It will be such a delicious journey. I promise. For a head start, download my free canning resource guide. It will help you preserve like a pro! I look at things from an organic perspective. I believe the way we live makes a statement about the way we want the earth treated. This means we are voting for what we want with every food dollar we spent. And we can make a difference with organic practices in the garden and kitchen. But it IS about doing our best to move back to sustainable practices that are healthier for us and the planet. It’s all about the flavor, baby! I believe in that magic moment when produce is at its peak flavor, texture and sweetness. And I love to show people how to capture that special moment in a “time capsule” called a canning jar. Preserving the harvest allows us to enjoy those fleeting, seasonal flavors months later by pulling them off the pantry shelf. In television we tell stories. All food has a story and we have a story! Here at Living Homegrown, we explore those stories together – from the seed, to the table. Our food journey is not only about where our food comes from, but is also where we are headed. And my mission is to help you live farm-fresh, without a farm® – which just means you can live this wholesome, flavorful lifestyle no matter where you live. Living Homegrown is where you will find encouragement & ideas to work toward a more sustainable lifestyle. It is about taking steps on this flavorful journey to be just a little bit better. Through my work as a TV producer on PBS, I feature and interview some of the rock stars in the sustainability & food world. This new Living Homegrown Podcast features interviews with these visionaries, plus in-depth canning tutorials and tips for using these ideas in our own homes and backyards. 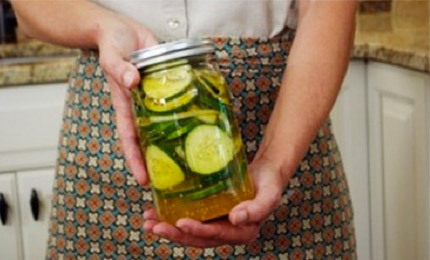 This online course takes you step-by-step through the canning process so that you are literally transformed from newbie to a confident advanced canner. And it all happens in a fun, non-intimidating way! You can read my formal bio HERE. I did not grow up on a farm. I grew up in Los Angeles. But for as long as I can remember, we did canning and preserving. Yes, I literally learned the basics at my mother’s apron strings. But as a teenager, I shifted focus and followed in my father and brother’s footsteps toward technology. I went off to school to become a degreed engineer. While I was away at school studying science, physics and math, something was missing. My creative side longed for homemade low-sugar jams, home cultured yogurt and canned peaches with just a hint of cinnamon! So, I spend all my spare time between studies to cultivate a teeny-tiny garden and put up the harvest. On the day I received my engineering degree, I knew I had made a mistake. 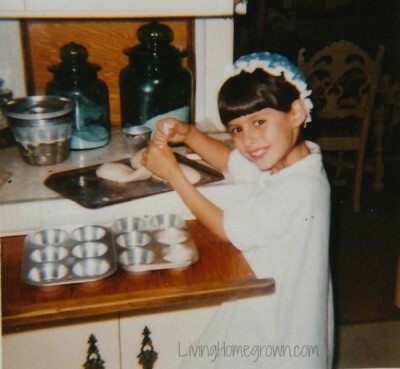 Although I loved technology, it did not consume me the way my garden and kitchen did. My true passion was in flavorful food, organic gardening and in knowing where my food was coming from. So…I worked by day as an engineer while going back to school at night. I studied sustainable horticulture and professional culinary arts. And I then went through training to become a Master Food Preserver. Today, I live with my husband and two teenage sons on a tiny piece of land in Los Angeles. We have a whole lot of edible plants, 5 chickens supplying fresh eggs and we eat some pretty delicious meals. I founded Living Homegrown Media to help teach others to live the same lifestyle. I have created online courses, a membership site, an award-winning podcast and I coach other entrepreneurs in the food/garden industry. For the last 9 years, I have also helped produce a national gardening series on PBS and I appear on that television show as the canning expert. But it hasn’t all been fun and games. A few years ago, I had little detour with cancer. As odd as this may sound…I feel grateful for the experience. Cancer changed me in a good way, gave me more perspective and ignited my desire to connect with others on the same farm-fresh path that I was on. Today, I am healthy and thankful. You can learn more from my formal bio HERE. – I don’t wait to use “the good” dishes because every day is special. – I collect vintage aprons and actually wear them…with Levis…while gardening. – I grew up hanging out with my Dad and big brothers, so I know how to bag my own dinner, field dress a deer, fix things around the house and use power tools. – I can shoot a mean game of trap (clay target practice). – My biggest weakness is chocolate. – I fell in love with my husband when I witnessed his integrity and character first hand. He has taught me patience and how to tackle big obstacles as a team…always. You can see a PBS episode on my city homestead here or learn about chickens here . You can connect with me on Twitter, Facebook, Pinterest, Instagram or you can write to me here. I grow food a little differently than most people do. I believe food plots can be productive and beautiful. I have always grown edibles in my 1/10th of an acre homestead as ornamental plants to showcase their shape and color. In other words, I foodscape instead of landscape my garden. I plant in drifts rather than rows and my vegetable garden is English Cottage Style with a blending of flowers to draw in the pollinators. At any given time, I have 55 different culinary herbs, 50 different vegetables, several potted citrus trees, and 5 espaliered apple trees lining the property. I regularly share about growing a lot of food without a lot of space. I am currently going through a crash course on farming and canning on a much larger scale. I joined a few other family members in purchasing a run down 1892 farmstead in the gold country of Northern California. We each took over different areas of the 14-acre restoration. 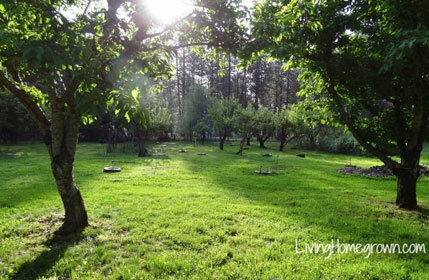 I am in charge of restoring the heirloom fruit orchard (60+ trees) and the vintage kitchen garden. We are also restoring the farmhouse and well room. I periodically share the farmstead canning projects and updates on our many, many challenges. Some cider making events are coming up as well as a feature PBS episode on the restoration. Stay tuned!